AFSCAN focuses on enhancing companion animal veterinary care across Africa through the creation of a sustainable veterinary network for Africa. 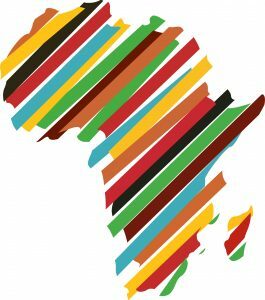 Africa is the world’s second largest continent and contains some of the fastest growing countries in the world. Unfortunately it is also plagued by many of the world’s most dangerous diseases and, while veterinarians work hard, their numbers are few, they are geographically isolated and they are often held back by a lack of training, CE and support. Therefore urgent help is needed to drive advances in veterinary care for all species to improve the health and welfare of both animals and humans. Veterinarians working in Eastern Europe faced similar challenges following the fall of the Iron Curtain. Several countries and leaders in companion animal medicine stepped in to support individuals and local groups with the setting up of veterinary associations that provided a focal point for the sustainable development of veterinary practice in their countries. As a result, veterinary care in the region progressed in leaps and bounds. Inspired by this example, the African Small Companion Animal Network (AFSCAN) Project now aims to achieve similar results in Africa. The challenge is great but so is the opportunity to transform and move the companion veterinary care in Africa to a higher level and, in so doing, improve the lives of millions of animals and humans. AFSCAN is led by the WSAVA Foundation, the charitable foundation of the World Small Animal Veterinary Association (WSAVA). Its goal is to fund improvements in the veterinary care of companion animals worldwide through science and education. The WSAVA is an umbrella organisation representing 145,000 veterinarians globally through 91 member associations. The AFSCAN Board is led by Dr Gabriel Varga. Led by the WSAVA Foundation, AFSCAN is a ground-breaking project running, in the first instance, from April 2014 until April 2016. It is supported by a Consortium and by the global animal health company Zoetis. Offering grant funding for specific veterinary projects and establishing links between African veterinary researchers and those in institutions in Amreican or European countries. Increasing support for and co-ordination of rabies control projects and setting up new projects. The expansion of training and CE programmes for veterinarians and other veterinary professionals. The support of surveillance systems to momitor infectious and parasitic diseases in companion animals. The quest for new funding opportunities and co-operation with current and future Consortium members.